The Washington State Soil Health Committee recently commented on The Natural Resources Conservation Service’s (NRCS) Notice: Recommended Standard Methods for use as Soil Health Indicator Measurements. If you would like to comment, you can do so by following this link. 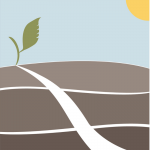 As Co-Chairs of the Washington State Soil Health Committee, we wish to applaud your agency’s impressive work in advancing the science of measuring soil health. This lengthy 66-page technical note is a short course in itself on the many challenges and methods of measuring soil health. As the collaborative work of 100 scientists, this is an invaluable tool for groups like our Soil Health Committee. (4) Introducing the idea of “Sampling for Life,” which would involve archiving of microbes in soils for more sophisticated laboratory analysis. As the TN states, “only coarse-level microbial characterization “ is now available. We need to rapidly advance our understanding of the microbial ecosystems in our soils. We recommend adding a brief discussion of the potential use of biochar as a medium for capturing and analyzing microbes. The chemical bonds created in soil when biochar is added have been well studied and are known to result in the population of surface area by soil microbes. Thank you for this excellent technical note.